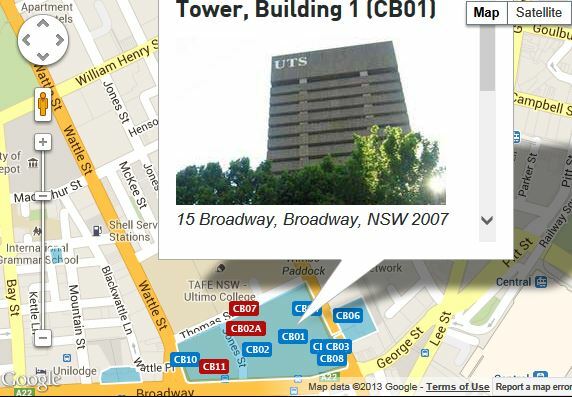 There probably won't be an update to this site next week because I will be attending and speaking at SkeptiCamp Sydney. For those unfamiliar with the concept, SkeptiCamp is a free conference with no invited speakers. Anyone is welcome to claim a speaking spot on the day and have their fifteen minutes of fame. The event will be held on October 12 at the Broadway campus of the University of Technology, Sydney, starting at 10am and finishing at 5pm. Entry cost is zero, and there might even be some free drinks in a nearby pub afterwards. If you want to give a talk I suggest turning up before the start time to grab your timeslot, because it might be too late after that. A fringe event is CupCakeCamp, where cupcakes are judged for their awesomeness. If you think you can cook, why not whip up a batch and enter the competition? We are still looking for a cake which contains no gluten, animal products like eggs or dairy, carbohydrates, GMO products or nuts. Each year our vegan judge who has coeliac disease, diabetes, dairy intolerance and peanut allergy is disappointed that she just gets to look at the entries. Don't think you can substitute fish meal for flour - another of our judges has a seafood allergy, reacts badly to aspartame and can't tolerate fluoridated water. And please turn your mobile phone off while cooking, just to be on the safe side. In 2004 I wrote about a doctor who sold books and rubbish using a degree she didn't have from a university she didn't attend (and which had no medical school). Some years later she finally got round to doing something about this - she threatened me with a claim for trademark violation. You can see some of the story of Dr Sandra Trademark™ here. On your books and web sites you refer to yourself as "Dr Sarah Buckley MD". I won't quibble about using both "Dr" and the degree which is not normal practice, but I am concerned about the use of "MD". On your web site you say that you received your medical education at the University of Otago (which you incorrectly call "Otago University"), but you do not mention any postgraduate training except "a Diploma in Obstetrics and a certificate in Family Planning". As the University of Otago grants MB ChB to medical graduates I'm wondering where you acquired the MD. I'm sure you are aware that it is dishonest to claim academic qualifications that you do not have, and also that the abbreviations that must be used are those approved by the university. Please tell me which university granted you the MD degree and in which year. I would not like to think that you are being less than truthful about your qualifications. Oh, and please don't say, as another well-known doctor does, that "MD just means medical doctor, not Doctor of Medicine". It doesn't. I will be watching the email eagerly for the response. I predict if anything comes back at all it will be rationalisation of the deception, a threat or simply non sequitur. The lady has a big business to protect so my money is on "threat". Or maybe just more lies. Chiropractors like to be called "Doctor" and "health professionals", in much the same way that I like to be referred to as "awesome guitar player" and "US Open Champion" (pick your sport, golf or tennis - I don't mind). The reality is that they are not doctors and what they do has little to do with health. Whenever some totally bizarre practice by chiropractors is highlighted the response from the "profession" is that these weirdos are just the fringe. It would appear that chiropractors redefine "fringe" to mean "anything outside the point at the centre. 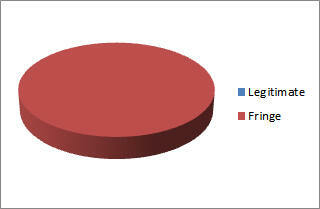 Here is a graph illustrating the proportions. Here is an image from a video promoting a chiropractic program for mobile phones. 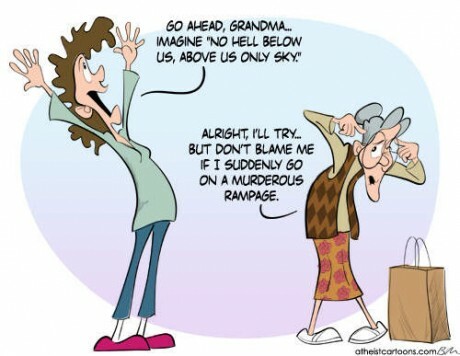 (But "What about the EMF radiation?" I hear you ask. Don't worry - there's a chiropractic adjustment for that.) This chiropractor is adjusting a baby (who is asleep) by testing the strength of a parent's arm. I am not making this up. So here is someone fiddling with a baby (which is dangerous without any corresponding benefit) and using a magic trick to pretend to find things to fix in the baby. The only thing here which approaches reality is the bill to be paid at the end of the session. Chiropractors claim five years of university education to prepare them for working in their profession. I've found an online clown school where they allow up to three months to finish the course, although they say it can be done in much less time. Also, it only costs $175 so there are no crippling student loans to pay off for the rest of your life. And the skills are similar. 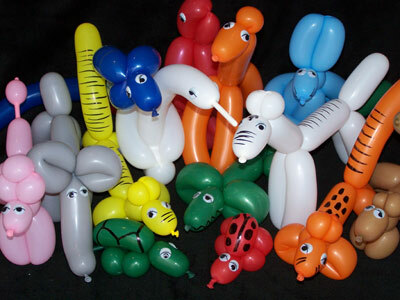 Here are some adjusted balloons. 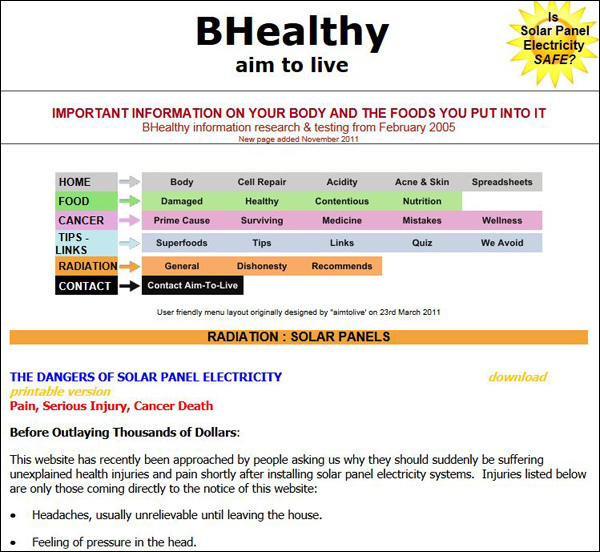 This is even madder than mobile phones frying brains, or wind generators causing 300 diseases (yes - an academic i know has gathered at least this many). Now photovoltaic cells on your roof can be harmful because of the very nature of the electricity they make. To the rest of us, electricity is electricity and once the electrons start flowing there is no way to tell what sort of generation system got them moving. It could be possible, of course, that a new physics is being discovered in wooland to go with the new chemistry of homeopathy and the new biology of reflexology and acupuncture, but somehow I doubt it. 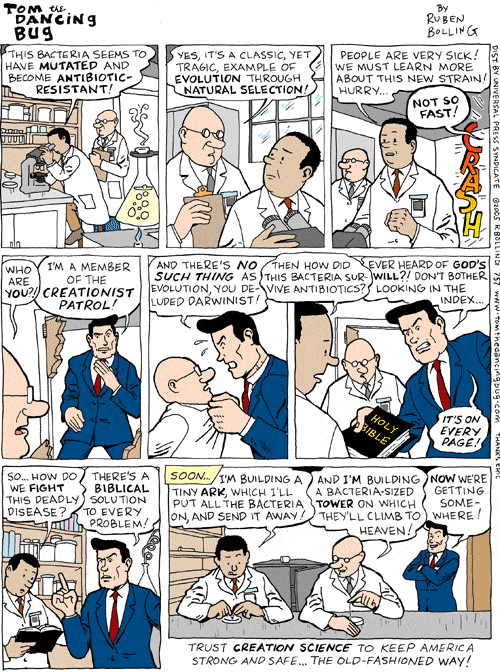 I continually return to the problem of a scientifically illiterate population. Anyone with even the most basic understanding of what electricity is would laugh at this nonsense, but unfortunately most people don't have that knowledge. 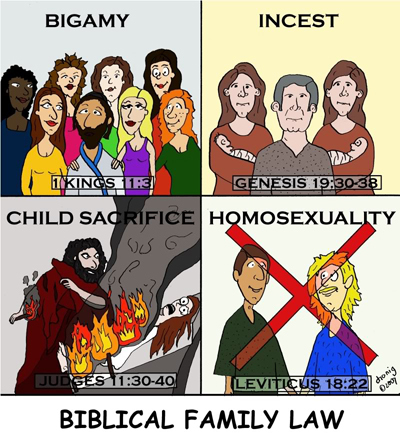 And while they don't, they can be deceived. If the deception just stops them from saving power bills by putting a few panels on their roof then not a lot of harm is done. But it never stops there. We are constantly being told about scientific research that is being done to show that various of alternative or "complementary" medicines have some therapeutic value that exceeds any risk of using them. Unfortunately when this research is examined it generally turns out to be amateurish, incompetent, fraudulent, done with the results preordained, the results are simply misrepresented or a mixture of some or all of these. In the US an organisation known as the National Center for Complementary and Alternative Medicine (part of the National Institute of Health) was set up some years ago to fund research in the area, but despite spending an enormous amount of money the results have been very thin on the ground. Because NCCAM insists that the results of funded research must be published even if no efficacy is shown they have had trouble giving the money away. 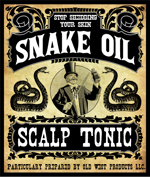 Most, if not all, manufacturers and sellers of snake oil know that the stuff they sell does not do what they say it does, so even the offer of free money isn't enough to get them to risk the public finding out the truth. The following conversation took place on an Internet forum during the week. Identifying information has been removed. I'm a PhD student exploring attitudes, beliefs and barriers to herbal medicine use: Why and how do individuals with anxiety use herbal medicines? Do you experience anxiety? Do you use herbal medicines? Are you an Australian adult (18 years and older)? If the answer is yes, you are invited to participate in a study exploring your beliefs, attitudes towards, and reasons for using herbal medicines. Are you also interested in people with anxiety who deliberately avoid the use of herbal products? Good question. Not at this point in the study, but possibly later on. Thanks, Erica. I think it's important to consider this given the potential dangers of using untested medication, particularly when self-prescribed or offered by someone with inadequate medical training. An example is the use of St John's Wort to treat depression, something that has been recommended to me on several occasions and something you will inevitably hear about from some of your study subjects. Not only is its efficacy doubtful, but it can be actually dangerous if taken with other drugs. Of particular concern is its effect on antidepressants and its ability to trigger or increase anxiety. The following page is from NCCAM, the US organisation which distributes grant money for research into Supplementary, Complementary and Alternative Medicine. Erica Yes indeed Peter. That's one of the reasons for this study. On the positive side when prescribed correctly they can be very effective. St John's wort hasn't shown good efficacy in treating anxiety, but has for the treatment of depression. The majority of studies have shown SJW to be effective in treating depression—I know this research very well. However, it needs to be taken into consideration in a clinical context and may not be the right treatment for some people—due to interactions, type of depression and comorbidities. Self-prescribing with SJW is a concern as many people aren't aware of the potential interactions with other prescription medications. If wanting to use herbal medicines it's important to consult a health practitioner that understands them and how they interact. St. John's wort may help some types of depression, similar to treatment with standard prescription antidepressants, but the evidence is not definitive. Combining St. John's wort with certain antidepressants can lead to a potentially life-threatening increase of serotonin, a brain chemical targeted by antidepressants. St. John's wort can also limit the effectiveness of many prescription medicines. Psychosis is a rare but possible side effect of taking St. John's wort. St. John's wort is not a proven therapy for depression. 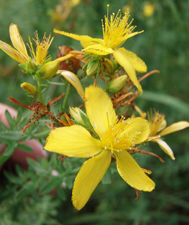 Do not use St. John's wort to replace conventional care or to postpone seeing your health care provider. If depression is not adequately treated, it can become severe and, in some cases, may be associated with suicide. Consult a health care provider if you or someone you know may be depressed. See where it says "the evidence is not definitive"? See where it says "St. John's wort is not a proven therapy for depression"? Later in the report it says "current evidence for using St. John's wort for depression is not conclusive". But Erica has seen the research that shows it works and doesn't seem too worried that subjects in her anxiety study might be taking it. Also, when she says "St John's wort hasn't shown good efficacy in treating anxiety", NCCAM says "St. John's wort is a stimulant and may worsen feelings of anxiety in some people". I hope I'm wrong, but it looks very much like Erica is out to demonstrate that herbal concoctions work as treatments for anxiety, and her research is going to be based on anecdotes from people who are self-medicating or following the advice of untrained people like naturopaths. This can then be added to the pile of useless research that is cited by people whose business plans require sick people to waste time and money on unproven remedies. And in the case of depression and anxiety, to put their lives at risk. Anonymous from Facebook. 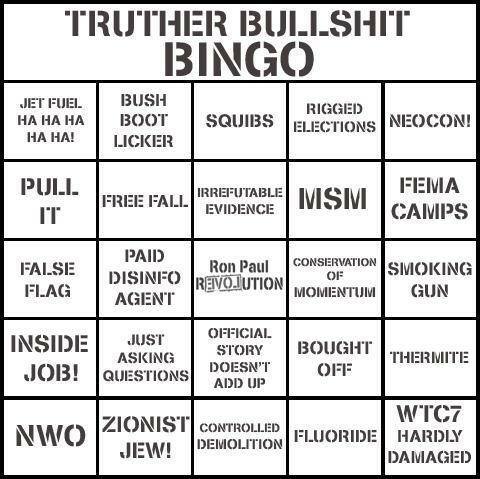 I can get "Bingo" in about five minutes in any conspiracy forum. I've been spending some time in Schadenfreude Corner at Ratbag Castle lately, mulling over the misadventures of anti-vaccination liars and chiropractors, but I mustn't forget Quintessence Nook, where the real crazies are collected together. Here are a few from the archives of Quintessence Of The Loon. Some people want to take the easy way through life. They look for shortcuts and tricks to help them avoid the hard work necessary for achievement. Oh, yes, some people can get lucky and win the lottery or have rich parents, but for the rest of us the only path to success is working for it. Take the example of a psiball, for example. There are any number of gurus who will tell you that you can just pick one up tomorrow, but this site shows the hollowness of such promises. How could it be said more clearly than: "It is a lie that someone says this way can make you a strong beautiful psiball soon and easily.The more invisible(subtler), the stronger(more beautiful). We can kill our psiballs easily if we stop practice something useful to make a strong and beautiful psiball for at least one hour or few or several hours everyday"? This week's update will be brief and will happen sporadically over a few days. I have other things on my mind. 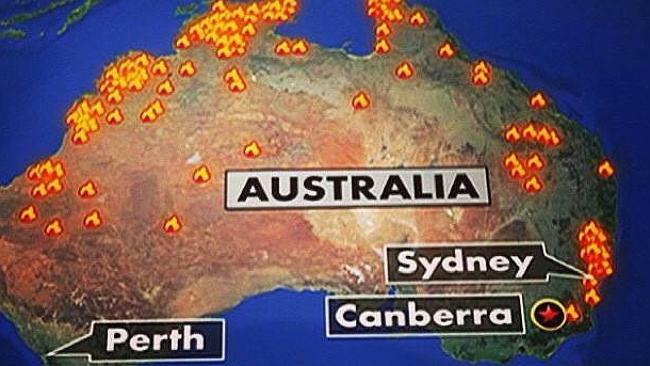 This is a picture taken from a satellite yesterday showing bushfires burning around Sydney. The yellow dot is about where my house is. 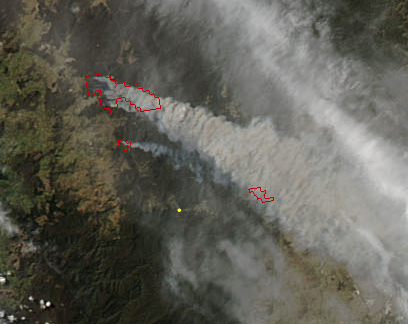 Since the photograph was taken the two fires on the left have almost joined up. 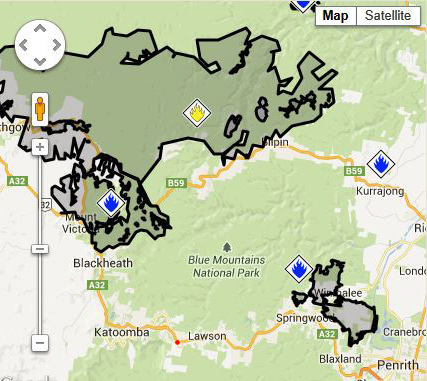 There is nothing but highly-flammable eucalyptus forest separating me from the fires, and even though I am about 20 kilometres from each I still have to be alert. The big fire on the top left advanced at about 6km/h on Thursday, so these things don't take long to get where they are not wanted. It's been a pretty tense week around my place. We had to plan for evacuation on Wednesday, but luckily we didn't have to put the plans into action. Still, every time we do this we get a little more prepared for the next time a fire gets into the eucalyptus trees that make the Blue Mountains such a pleasant and picturesque place to live. There are still three fires burning within 30 kilometres of my house and there is nothing but bush and a few ridges and gullies between me and them, but they have been contained by the excellent work of the Rural Fire Service. The weather is being kind right now, but the air is smoky (and my eyes and sinuses remind me of this on a minute-by-minute schedule). At least things weren't as bad as were shown on NBC in the US, using a map apparently created by a cartographer in the middle of an LSD flashback. Here's the situation around my place (the red dot). The big fire at the top left has burnt out 53,000 hectares, which is a bigger area than the unburnt section in the middle of picture. Wave your mouse over the image to see where the trees are. The latest edition of Australasian Science is out there in mailboxes, newsagents and online and as usual my Naked Skeptic column is inside it. I used to get into character while writing it but I've had to be more careful about opening the door while in writing mode since that day when the lady from the Post Office came around with a parcel that needed a signature. Luckily her shock and PTSD were covered by Workers' Compensation insurance. Now I just get a card in the letterbox telling me to go to the Post Office to collect my eBay purchases. Here's the latest effort. It mentions conspiracies and followers of such esoterica should book in for the Australian Skeptics National Convention in November, where I will be revealing a government coverup that shocked even me when I made it up. A couple of weeks ago I mentioned Sarah Buckley MB ChB who deceptively puts "MD" after her name despite not being a holder of that qualification. She has replied to my email. I'm not quite sure how I can respond, but somehow I don't really think we could work together comfortably given that I have a wife, two daughters and a grandson, none of whom would be alive today if the two of them who have given birth had followed the nonsensical advice that Dr Buckley seems to sell for a living. Thank you for your email and for your attention to detail. As you note, I have a medical degree (M.B, Ch.B) from Otago University in New Zealand, (properly known as the University of Otago, as you point out) as well as a Diploma of Obstetrics from the University of Auckland. I use the term MD with my US audiences to signal that I have a medical qualification, which is the usual nomenclature in that country. I understand that this can be confusing from the perspective of Australia. In response to your email, I have provided an explanation of my qualifications on my Facebook page and website. I see from your website that you are affiliated with the Skeptics. I am familiar with this organisation, my parents being long-term members. I hope you are also doing some good work for the related group, Friends of Science in Medicine. In the almost 30 years since I graduated, I have become more and more concerned about the pseudo-science (and even pseudo journals) being published by the pharmaceutical industry. These corporations have increasingly positioned themselves to set the agenda for medicine, and at the same time are making enormous profits at the expense of good health and good medicine. Their unethical and unscientific practices are likened to the Mafia in this editorial* in the British Medical Journal. I can see that you are strongly committed to the effective, ethical, and scientific practice of medicine. I would love to see you and your associates apply your considerable passion and skills to expose unscientific and unethical practices by pharmaceutical companies here in Australia. I would be delighted to work with you on this topic. * I removed the link to the BMJ article. It was a book review and hagiography of its author. The book (Deadly Medicines and Organised Crime: How Big Pharma Has Corrupted Healthcare by Peter G'tzsche) is a rant by someone who opposes mammograms as well as most of the drugs that make our lives longer and more comfortable. (His only concession to the pharmaceutical industry in the book is the following: "My book is not about the well-known benefits of drugs such as our great successes with treating infections, heart diseases, some cancers, and hormone deficiencies like type 1 diabetes". Everything else is about how bad the industry and its products are.) I get enough Big Pharma bashing without adding to the pile. Lovers of quackery keep telling me about the dreadful actions of the pharmaceutical industry, but they are very thin on the ground when it comes to doing something about it. A few days ago I spent a day with Medicines Australia as a lay member of a consumer panel providing input to a review of the Code of Conduct for the prescription drug industry. The current round of discussions is concentrating on transparency, with particular attention to which benefits can ethically be given to medical personnel and how these benefits should be recorded and reported. Everyone there was critical to some extent of the actions of pharmaceutical companies, but absent completely were any representatives of the snake oil industry who complain on a daily basis about doctors only prescribing drugs because they are paid to do so. Disclaimer: Members of the panel were provided with a free lunch, reimbursement of taxi fares and a small monetary payment (enough to buy a meal and some cheap wine at a reasonably-priced restaurant). We also got to keep the pens, but they bore the brand of the place that rented out the conference room so do not count as Pharma swag. I am now officially a paid Big Pharma Shill, although I would starve (except for lunch) if I did this every day just for the money. Another mystery cartoon stolen from someone who stole it and posted it on Facebook. I'll acknowledge the creator if someone can tell me who it is.